we are the perfect choice for location when heading to Christchurch for skiing, ideally location with plenty of restaurants and cafes all around. we offer spacious modern rooms with Air condition for that extra comfort after a long day on the snow. Roma on Riccarton Motel and Porters Ski Field go hand in hand, you wont be disappointed you stayed with us. Return transport from Christchurch direct to Porters, modern vehicles with experienced drivers/guides. Departing Christchurch from 7:15am, returning by 6:00pm. Adults: $55, Tertiary Students: $50, Youths: $50. All inclusive day packages also available. 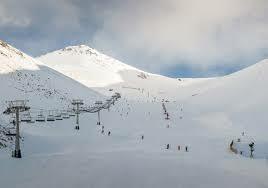 Door to door service – check www.snowmanshuttles.co.nz for service area. Bookings essential. Methven to Porters return service also available on Mondays and Thursdays.